Bus stop advertising is a modern concept that has clicked because of high visibility and low cost.Statistics show that the products endorsed on a bus stop have long-lasting impressions in the minds of viewers. Since bus stand announcements are listened extremely carefully by travelers, it is impossible to ignore the product endorsement.It is a cost-effective and beneficial idea. 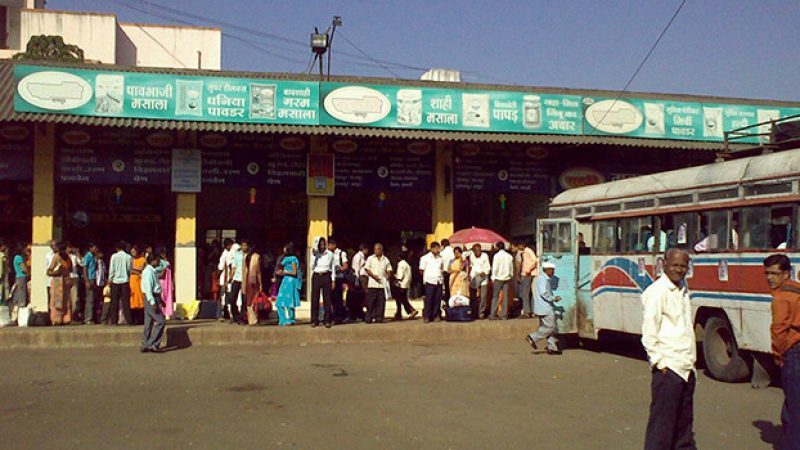 Bus stands are the second most visited places in India after Railway Stations. Since the footfall is huge, they are considered the best places for promoting brands and products.Do you know how Bus terminal Advertising in India benefits your business? Here are seven ways it does. Bus stand advertising is a new and exciting concept. Since it is innovative and engaging, you get customer attention immediately. Something that cant be conveyed using conventional marketing methods can be easily conveyed by this. Since it is a new concept, bus stop advertising prices are at affordable levels. Thus, it is a great mode of business promotion for small and medium-scale enterprises and startup companies. With the help of seasoned service providers such as Vritti Imedia, clients can reach customers at a relatively low price. Thus, productivity attains new levels. Since rural bus stand advertising covers the rural population, it is a tremendous business opportunity. Rural India is most promising market today. Therefore, those who will tap it first, get huge benefits. The beauty of bus stand advertising is its simplicity. Despite being so simple, it is a marketing idea that can boost your business remarkably. Audio Visual Advertising Agencies in Mumbai keep it interesting and engaging. A bus stand is a place where people must be attentive. Since the new-age bus advertising uses centralized announcement system for Bus Stand Announcement Advertising, it is impossible to ignore the brand promotions. It is the secret of its effectiveness. Experts say that there is practically no end to the business growth if you use bus stand advertising. The reason is simple; it is a niche that is ever evolving. As the infrastructure development takes place across the country, bus stands are taking new shape. They are equipped with modern technology today.Hence, new opportunities will be coming in. As the clich goes, you can hate it or love it, but you cant ignore it; it holds true with bus stand advertising.Since it is a highly potential way of marketing and promotion, no business can overlook it. If any business does not do it, the consequences could be devastating. The competitors will take the benefit of it and move miles ahead. Nobody imagined a decade ago that a neglected and ignored place like bus stand could be used for business promotion? And that too rural bus stands where the basic facilities were also non-existent!However, it is a reality today. Thanks to the phenomenal economic growth in India, the rural bus stands are not only equipped with new-age amenities, but they have emerged as prominent business generation units.Companies prefer rural bus stand advertising because it is cost-effective and efficient. Experts say that rural bus stop advertising is a highly promising way provided it is done well. Here are five ways to get through it. Yes, once you decide to go for bus stand advertising,the first thing is to derive at a strategy. What percentage of the total marketing cost will be dedicated to it? Are you going to manage it in-house or hire an agency? Is your existing marketing agency capable of doing it or you need a separate agency? In what way you want to explore the potential of it? There are several aspects of the Bus terminal Advertising in India. Which one sounds more relevant to you? Bus stands in India are the second largest crowded public places after Railway Stations. No wonder, they offer such an incredible business opportunity. It is up to you how do you want to explore it? Bus Stand Announcement Advertising is becoming quite popular nowadays. Vritti Imedia is a leading company that has designed several marketing campaigns for their clients. Since all rural bus stands are interconnected, it is possible to run, monitor and control the campaign centrally. Audio Visual Advertising Agencies in Mumbai can create interesting and engaging software for you. As mentioned earlier, you need to hire some expert agency to design the right campaign for your business. It is very important to convey your expectations to the agency. It helps them in deriving the best-fit strategy. Though bus stop advertising prices aren’t exorbitant, it is important to make a separate line item in the budget. When you explore something new such as bus stand advertising, it is highly important to monitor the benefits. Is it doing as per the expectations? If not, then let the agency know about it. Necessary changes should be made to bridge the gap. Innovation is the essential element of advertising. Particularly, the rural market is more challenging and demanding than the urban counterparts. With the economic development, the rural consumers have become a significant contributor to the business. Also, their preferences and priorities have changed now. To get the maximum benefits, it is very much important that the marketing managers use methods that lure the rural consumers mind. Things that touch to their hearts should be used for marketing communication. With this backdrop, Vritti Imedia brought a unique and different channel, the Audiowala Bus Stand. Bus Stand Announcement Advertising, is the idea that has done remarkably well in the past. Started in a few selected cities as the pilot project, today it is one of the strongest communication platforms that address over 250 Million people from 20 bus stands spread across five states. Isnt it an amazing thing that such a simple idea has been welcomed with such a great enthusiasm? Bus stands are the most crowded places in India because a bus is the most approachable and affordable mode of conveyance after railway. There are several rural areas in India where railway has not reached yet but the places are very well connected by bus network. Since the advertising and promotions are done using the centralized announcement system, it is quite easy to manage the things. Announcement system is heard carefully by the audience as it conveys important information about bus arrivals and departures, change in the route, delays, etc. ; advertising messages get complete attention of the audience. Hence, the reach of the promotional message is excellent. The idea is amongst the best ideas used by any of the btl activation agencies in Mumbai. Since the crowd at the bus stand is ever changing (it is estimated that every half an hour there are new people on the bus stand); the message reaches to different people every time. It means, there is hardly any repeat audience which is a good thing from the advertising perspective. The popularity and effectiveness of bus stand advertising has been tremendous so far. No other Audio Visual Advertising Agencies in Mumbai has received so much acclaim as Vritti Imedia received from industry experts, clients, and even the critics. The success of a marketing agency lies in two things; how creatively it can think and how innovatively it can implement the ideas. A company like Vritti Imedia fulfills both the criteria effectively. No wonder, it has made a distinguished place in the field of rural marketing. 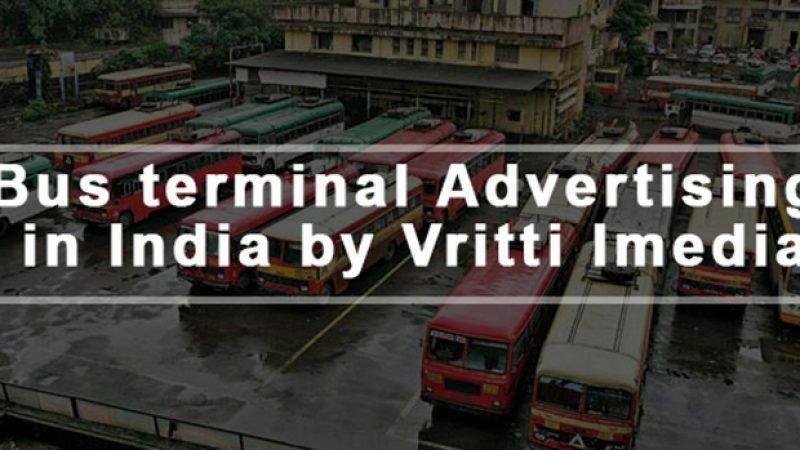 Vritti can boast about several successful marketing ideas delivered in the past, but the idea of Bus terminal Advertising in India is really unique and incredible. It is not only an altogether different concept, but it is highly successful as well. Nobody thought about using bus stands for advertising ever before! The idea of Bus Stand Announcement Advertising makes a bus stand an important profit center. It contributes to the top lines of clients who use this medium to promote their products and services. It is quite simple yet effective concept. It uses the central announcement system of bus stands as the advertising medium. Hence, the content is uniform everywhere. Several states of India have centralized communication system. It connects the bus stands spread across the state. Just like Railway Announcement system, it conveys the information of bus arrivals and departures. Why is bus stand advertising so lucrative idea? When Vritti Imedia, one of the best Audio Visual Advertising Agencies in Mumbai launched the idea, it was immediately taken by clients because of its practicality and effectiveness. It is a concept which is backed up by thorough research. Bus stands are the second most visited places daily after Railway Stations. Hence, the reach of advertising is enormous. Advertising through Bus Stand announcement is a cost-effective idea that puts less pressure on profitability. Since visitors pay full attention to the bus announcement, there is no chance to overhear the advertising message by them. It is the reason behind the grand success. It is an innovative, useful and apt rural marketing campaign that reaches to a widespread audience. Btl activation agencies in Mumbai aims to drive customer action through brand interaction and experience. In other words, they want to run marketing campaigns that drive action from the consumers. Bus stand announcement advertising is greatly successful in achieving the objective described above. It is the reason; clients choose it as the preferred marketing tool. The grand success of it brings Vritti Imedia amongst the most successful marketing companies in the country. How Influential Bus Stand Announcement Advertising can be? Innovative marketing companies are always busy in developing effective strategies. It is an ongoing process. Vritti Imedia has established itself in urban and rural marketing by introducing out-of-the-box ideas. Though the success story of Vritti Imedia has several impressive campaigns, Audiowala Bus Stand is a superb idea that created history. With this, people understood the amazing potential of Bus terminal Advertising in India. Earlier, bus stands were not given much value in the marketing strategy. However, Vritti Imedia proved that if a campaign is planned well and implemented well, it can bring incredible results. It proved that with dedication and hard work, it is possible to conquer great heights. Bus stands are the second most crowded places in India, many of us dont know about it, though. Vritti Imedia did a thorough study before choosing it as the prime spot for advertising. Surprisingly, the results are more than expectations. The company has done remarkably well for their clients and got a lot of acclaim and accolade. In particular, Bus Stand Announcement Advertising has got a grand success. Why is it so? The reason is pretty simple. When people visit bus stands, they are very attentive to the announcements that are being made. Hence, they listen to the announcement with complete concentration, the products, brands, and services get registered in the memory. The retention of this information is pretty high. Since the majority of the footfall belongs to the rural areas where the literacy rate is low, people are more dependent on the audio information. Vritti Imedia did a commendable job by seamlessly merging the campaign and the useful information. The idea of using bus stand announcement is a research-based idea. It is not just a fluke. After getting success initially, the company looked into more systematically and scientifically. The campaign reaches to the target audience efficiently, and gives the best value for money. It is effective, target-oriented and to the point marketing campaign. Audio Visual Advertising Agencies in Mumbai wants to bring something different to their clients. It is because in the competitive environment today, it is not possible to remain confined to one strategy. The campaigns need to be experimental and influencing. It has to go beyond the boundaries of age-old ideas. Unique and different concepts like Audiowala Bus Stand can create new records. A well-managed and focused campaign which is targeted to the right audience! When these two things are present, success is guaranteed. Vritti Imedia is one of the leading Audio Visual Advertising Agencies in Mumbai that keeps the finger on the pulse of the market. It knows what gets clicked in the competitive business world and how to achieve greater efficiency without spending huge money on it. Experts say that unique and out-of-the-box ideas attract people more as compared to the conventional methods. There is always a high probability of customer conversion. Vritti Imedia knows it very well, and it is the reason it brings altogether new concepts to market products and services. Nobody realized the potential of bus stands in marketing products and services as Vritti Imedia. They came out with a mind-boggling idea of Bus terminal Advertising in India for the first time. Undoubtedly it was not as easy as falling off a log. Team Vritti had to put a lot of efforts in conceptualizing and implementing it. Why is a bus stand the right spot for advertising? Because it it the most crowded places in India after Railway Stations. Hence, the visibility is excellent. Still, they were not considered for mass advertizing earlier. It is only Vritti Imedia that realized the immense power of Bus Stand Announcement Advertising. Are you a dynamic company looking for greater market penetration? If yes, then there is nothing more appropriate for you than using the power of innovative rural marketing campaigns through Audiowala Bus Stand. The beauty of this campaign is that it reaches to the rural mass at a large scale. Since not many products and services reach such a massive target base, you get the first movers advantage. Read testimonials of clients who availed the benefits of the bus stand for marketing. You would realize its potential. Vritti is the leading marketing agency that specializes in Rural BTL Activation. It has made history by using an unconventional place like bus stand for brand awareness and product promotion. Innovation and creativity are the essential elements of marketing whether it is for the rural market or urban. However, ideas like using bus stands for brand promotion are path breaking indeed. Since you get exposure across multiple states, it is a business viable promotional idea for you. There is a saying in Hindi that means, the world will bend the only thing is you need someone who can do it. Vritti iMedia, the leading advertizing agency in India has proved it true. The company is known for introducing new and innovative ideas that are simply unique in the niche. The team works enthusiastically on each project and derives ideas that work incredibly well. In the last few years, the idea of Audiowala Bus Stand has created a history in the states where it has been launched by Vritti Solutions Ltd. It is a simple, cost-effective and profitable idea which has not only earned a lot of accolade and applause but also opened a new dimension to the business. What is Audiowala Bus Stand is all about? It is a path-breaking idea that makes use of Bus Stand, the second most visited public place in India after Railway Station for a public campaign. Yes, bus service is the backbone of our rural lifestyle. People of small and medium towns and rural areas are largely dependent on it. They come to the Taluka places or District Headquarters for several personal and administrative purposes. They listen to the bus announcements sincerely and follow the bus arrivals, departures, and timings. Audiowala Bus Stand encashes the opportunity to promote products, services, government schemes and all other relevant information that is relevant to people. Audiowala Bus Stand is perhaps the most innovative, useful and effective rural campaign that reaches to millions of people daily. The success is not just a fluke, but a result of in-depth research and meticulous planning. The research team of Vritti Imedia was quite choosy while deciding the region. They picked the states that have the best quality of roads and bus services. Also, these states are more literate, and the level of awareness amongst rural people is quite high as compared to other states. Maharashtra, Goa, Karnataka, Punjab and Rajasthan are the states where this innovate idea was tried. The bus stands were equipped with necessary infrastructure. You need to talk to the people who visit these stands regularly to understand the effectiveness of it. People listen to the announcements with a lot of interest and take a note of every bit of valuable information. Audiowala Bus Stand proves that our country is transforming rapidly. Things get success if they hit the right thing at the right time! Achieving feasibility is a marketing campaign largely depends on what is the audience it is targeted to? When it is well-managed and focus, you reap the best benefit. Hiring one of the best Audio Visual Advertising Agencies in Mumbai doesnt make sense if it comes out with some lull and boring stuff. In the highly competitive business world, you cant afford to spend huge money on it. In the recent years, Vritti Imedia used unusual but effective ideas for their clients. Not only these ideas were a massive hit, but they brought incredible benefits to the clients as well. Before Vritti Imedia, nobody thought about Bus Stand Announcement Advertising in India. In that sense, it is the pioneer company who thought out of the box and made it a grand success. Why bus stand? The answer is simple because it is the place where huge crowd visits daily. Moreover, there people spend sufficient time to divert their attention to a service, product or brand. Since these bus stands are already connected by a centralized broadcasting system where announcements about buses get broadcasted, it was quite easy to design a creative campaign. 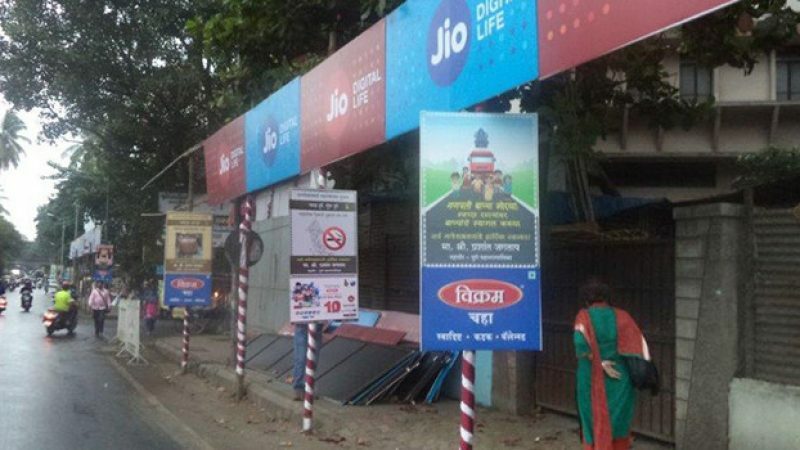 By introducing Bus terminal Advertising in India, Vritti Imedia added several dimensions to the world of rural marketing. First time in India, a rural marketing campaign makes use of technology. Also, it is a cost-effective yet impactful campaign where people get focused towards the message. Since it uses the audio-visual network system that broadcasts important information about bus timings and arrivals, nobody ignores it. Perhaps, it is the biggest reason for its massive success. Initially, the campaign focused on consumer goods, but later several other niches also found it interesting. Today, the whole spectrum of products and services uses the ground-breaking concept Audiowala busstand. Vritti is the only company amongst btl activation agencies in Mumbai that identified the huge potential of bus stands for rural marketing. Before it, nobody ever thought about it. However, it started bit carefully by choosing a few prominent bus stands as a pilot project. After the encouraging success, the company extended it to large scale. Today, it crosses the boundaries of states and covers many states in the country. Every year, new companies are adding to the list. On the parameters of reach and effectiveness, it is sure on e of the most successful marketing management ideas in the recent times. Well, let me give my introduction first. I am from Insurance sector with a rich experience of training and orientation. I have been working in the niche for quite some time. I learned the knacks and tricks of handling clients and business partners from y seniors during the early years. Very soon I started interacting with clients from diversified backgrounds like government sector, corporate and retail. However, I got the benefit of concept selling that is quite similar to Insurance selling. I would like to mention an incident which shows that customers are quite informed nowadays. We should not take them granted. Going for a deal unprepared is not a good thing today. Our company got the order for media and advertizing of a prestigious bank in Belgaum. The order was sanctioned from the Bangalore HO, and it was for 20 branches across the state. When I approached the Marketing Manager of my client, I was pretty confident that I am going to bag the deal and the meeting is just a formality. Moreover, we had worked with the client earlier. Hence there was already a good rapport. When I met the Marketing Manager whom I have been interacting so far, I was told that the AGM of the branch wants to see me. He wants to know further about Vritti Imedia. I knocked his cabin and with his permission took my seat. He stared me for a moment and started responding mails and attending calls without even taking notice of mine. The moments were full of tense and anxiety. After 10 long minutes, he turned to me and announced that he was looking at our companys website from last few minutes. What Vritti Imedia is all about and what we have been doing so far. After that, he leaned forward and asked, What is the difference between the price and the cost? It was a big blow for me. I was not prepared for it frankly. I was not in a position to admit it, for sure. I gathered courage and answered that price is the short-term proposition whereas cost is the long-term one. He stared at me and told that the answer was certainly not up to the mark. My palms were sweating, and I was pretty sure that the sale deed is not going to be signed. He explained me the difference first and then inquired about Vritti Imedia. How are we handling different projects and how are we adding value to it? I told him about 360 Degree Branding, Audio Wala Bus Stand concept, etc. He was a bit impressed with it, but the things were still dicey. Finally, he told that he is going ahead with the order just because he has to spend the budget sanctioned for this project, and we approached at the right time. It was not a positive remark for me indeed, but I was happy that he is impressed with Vritti Imedia and its performance so far. The takeaway is that the customer is quite informed and aware today. When we meet him, we should be ready with all answers. In short, customer is not simply the king but an informed king!